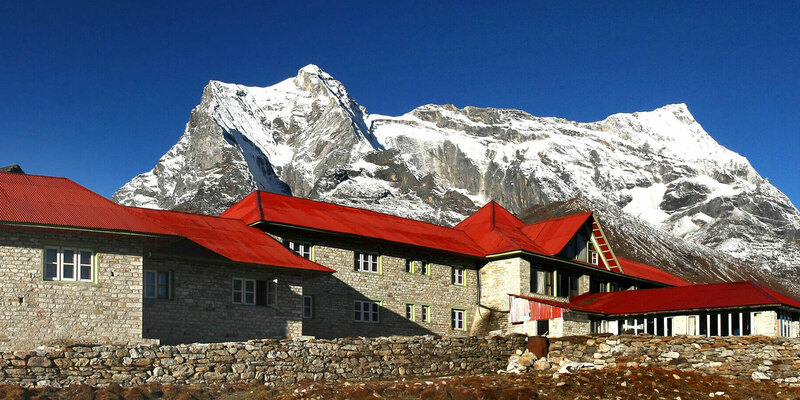 YMH Kongde Lodge, the highest of our lodges holds unparalleled views over the entire Everest range. The most amazing of the Everest lodges! Get to: 6 days’ walk (including acclimatization). Kongde Lodge, the smallest of our lodges with just 12 rooms is even more unique as it is one of the highest hotels in the world at 4,250m. You will be well rewarded after your eight hours walk in, with majestic views of five of the world’s highest mountains, Everest, Lhotse, Makalu, Cho-Oyo, Gyajung Khang (the highest under 8000m), and Ama Dablam. Combined with views of the spectacular Khumbu valley and the Kongde Lake; the mesmerizing Khumu Region and our Kongde Everest Lodge is sure to leave you spell bound! Even being at the highest altitude of the world, and in the midst of Khumbu Region, our lodge bedrooms are finished with a combination of traditional Khumbu and modern style with natural wood featuring extensively, for a warm cozy and relaxing feel. Each room has been designed with your total comfort in mind, providing you only the best in Everest Lodge in the entire Khumbu Region. All bedrooms offer either king-size bed or twin-bedded accommodation. To ensure your complete comfort, we operate a no smoking policy throughout the hotel and also do not allow any pets. We have an electric mat in each bed and clean blanket to keep you warm. A thermos of hot boiled water is served in each room.